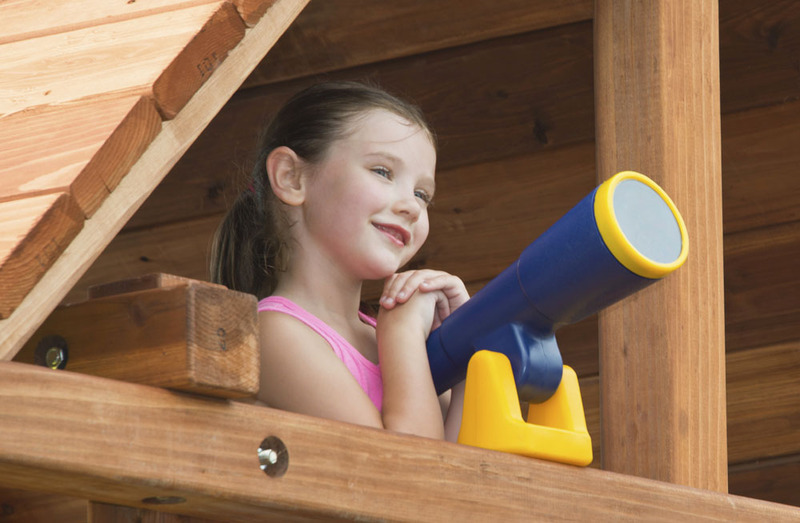 Your child will be exploring the universe in no time at all with this durable swing set telescope. Let your child imagine being the captain of a battleship looking for its enemy or let them aspire to become an astronomer catching a glimpse of an undiscovered galaxy. 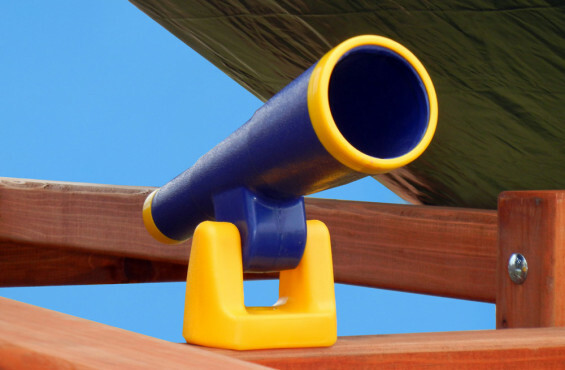 The telescope swivels up, down and around so no imagination will go to waste. It would make a perfect side kick to our steering wheel! 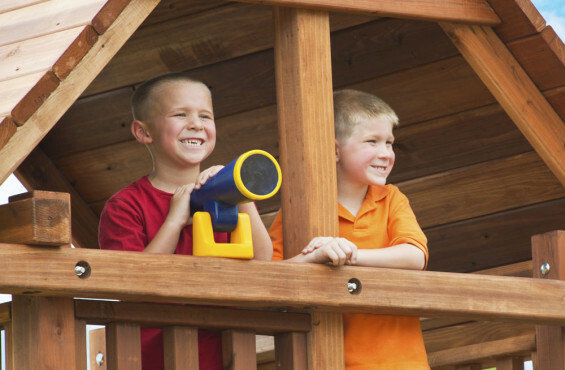 Installation: Telescope can be installed on most wood swing sets. Includes mounting hardware for an easy installation.